Spurred by the enormous popularity of Ruby on Rails, web frameworks have revolutionized the way developers of all programming languages tackle the often complex task of web application development. Some of the most exciting activity in this area can be seen in the Python community, one of the wildly popular frameworks to enter the fray being Pylons (http://www.PylonsHQ.com). 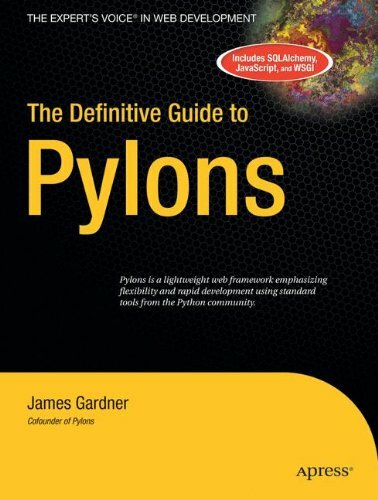 Co-founder and lead developer James Gardner brings you a comprehensive introduction to Pylons, the web framework that uses the best of Ruby, Python, and Perl and the emerging WSGI standard to provide structure and flexibility. With expert guidance from the author, you’ll learn how to create your own Pylons–driven web site using SQLAlchemy and FormEncode and attain the mastery of advanced Pylons features, such as internationalization and localization, packaging and deployment. Python developers seeking to take advantage of a web framework.